Prosecutors filed a charge of reckless endangerment against Taylor Smith. The 18-year-old who pushed her teenage friend off a 60-foot bridge in Washington state, leaving her with multiple injuries, has been charged with one count of reckless endangerment. Prosecutors filed the charge Friday, with a declaration of probable cause from the arresting officer stating in part, "it is clear that Taylor Smith engaged in conduct which created a substantial risk of death and resulted in serious physical injury to Jordan Holgerson." "I accept the charges maturely and all I can do is hope for the best for Jordan and myself," Smith told ABC News late Friday. Smith pushed Holgerson, 16, off a bridge over the Lewis River at Moulton Falls Regional Park near Vancouver, Washington, Aug. 7. Holgerson plunged the equivalent of three stories before belly-flopping into the water below. She suffered "significant injuries" including six broken ribs, a punctured lung and air bubbles in her chest, officials said. The incident was captured on a cellphone video that went viral on social media but has since been removed. Surveillance camera video also shows the moment Smith shoved Holgerson off the bridge ledge. (KATU) Jordan Holgerson, 16, was pushed off the bridge in Vancouver, Wash. According to the complaint filed in Clark County district court, Holgerson told authorities that Smith was the one who pushed her and that it was unwanted. Smith admitted to pushing Holgerson off the bridge but told authorities she did so in an attempt to help her friend overcome her fear and not to injure her. Earlier Friday, in an exclusive interview with ABC News' "Good Morning America," Smith said she didn't consider the repercussions beforehand. "She wanted to jump and she was scared and she had asked me to give her a push, and I didn't think about the consequences," Smith told "GMA" co-anchor Michael Strahan. "I thought she would be fine." "I went to the top of the bridge and my other –- my friend ... she came up to the bridge with me," Holgerson told KATU Aug. 9. "And so, she was counting down but I didn’t think anything of it. And I was like, 'No, don’t count down, like, I won’t go if you count down. I’m not ready.' And then she pushed me." Holgerson said she didn't feel any pain but adrenaline kicked in after she hit the water. 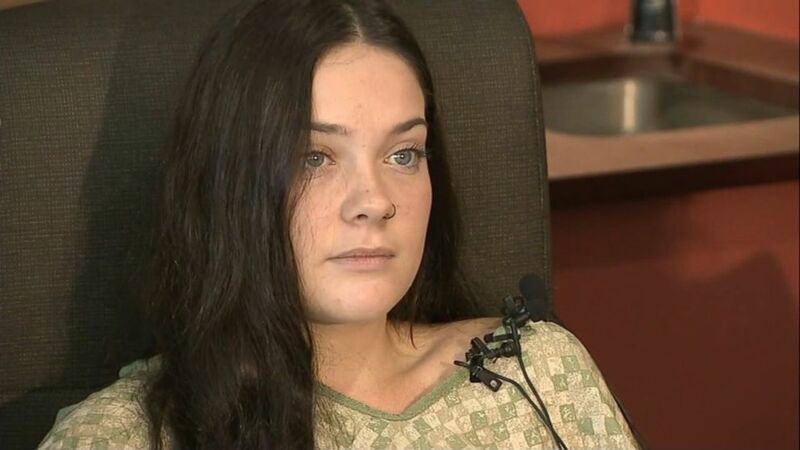 "And then an EMT that was off-duty helped me onto the rocks and just a whole bunch of people surrounding me were helping me, calming me down," she told KATU. "I am happy to be OK."
(KATU) Jordan Holgerson, 16, who was pushed off the bridge in Vancouver, Wash., suffered five broken ribs and lung injury. She talks to ABC News's affiliate KATU on Aug. 9. 2018. Smith told "GMA" that she immediately reached out to Holgerson after the incident and "apologized several times," and even tried to visit her in the hospital but was "asked to leave." Holgerson has since stopped communicating with her, Smith said. 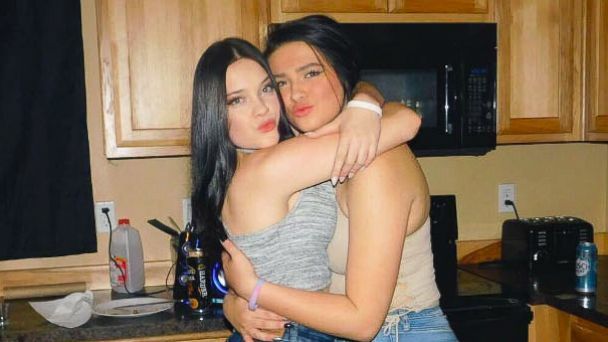 The two were "pretty close" friends for years, she added. "I love that girl," Smith said during Friday's interview. "I never intended to hurt her ever, nor would I intend to hurt anyone. I'm really sorry it turned out that way. I just pray that she heals and gets better." (Courtesy Taylor Smith ) Jordan Holgerson and Taylor Smith in an undated photo. Investigators from the Clark County Sheriff's Office wrapped up their probe of the incident earlier this week and turned over their finding to prosecutors, who announced the reckless endangerment charge Friday afternoon. Earlier, Smith told "GMA" that the prospect of facing charges is "scary" but she will "accept whatever the prosecutor gives me." "I accept whatever the prosecutors think is best for me, considering I caused not only bodily harm but emotional trauma as well," she said. "But I just hope for the best." ABC News' Michael Harris, Santina Leuci and Jim Vojtech contributed to this report.